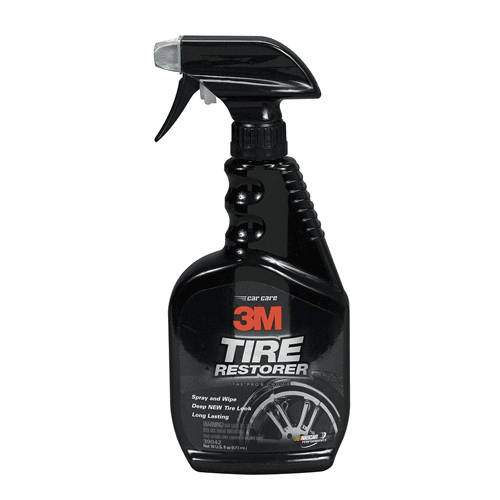 The 3M Tire Restorer will restorer that deep black new look to your car, truck, van or SUV's tires and black rubber trim. The 3M Tire Restorer provides a long lasting, sling resistant protective coating to keep your tires glowing long after you apply it. You can also use it to restorer deep rich natural appearance to exterior rubber bumpers or vinyl moldings. Cleans and rejuvenates.